After a brand reworking in 2015, this former Party City Casino became Slots Garden Casino and is operated by Virtual Casino Group. The fresh garden-themed site is simple in its design and very easy to navigate, with a bright background that keeps a fun and friendly vibe to your gaming experience. The focus of the games here are slots, which make up more than half of the ~200 games on offer here, supported by RealTime Gaming software. You can play via instant or download, and payouts are simple and easy, and they are up to date in the world of online casinos as they also accept Bitcoin. 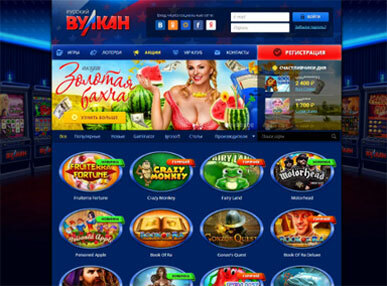 Slots Garden Casino has around 200 games for player, laid out on their homepage in a very easy to access way, forgoing the usual thumbnail presentation, and listing the games by their titles, so you can see them all in one page. Recently added games are featured at the top with their thumbnail images. As you’ll see, the majority of these games are video slots, with around 100 to play via download or online. Featured titles include Gods of Nature, Secret Jungle, Texas Tycoon, and Wild Wizards. You can seek out newly added games by their bold red ‘NEW!’ sign next to the title. The selection of 3 reel slot games include Bank On It, Diamond Mine Deluxe, Lucky Lightnin’. All the classic table games are on offer, including Pontoon and Blackjack, as well as 16 different poker variants to choose from. Other games include Keno, Bingo, and Craps. The welcome bonus at Slots Garden Casino will earn you a 100% match bonus when you sign up and redeem coupon SLOTS100 at the cashier. Minimum deposit of $50 required. Other promotions are available at Slots Garden Casino once you join their VIP Program, which gives you access to a number of prizes, perks, and rewards. The VIP Program consists of five different levels, each of which has more benefits, but also more requirements to be met in order to reach. Benefits include faster withdrawal times, higher table limits, weekly promotions and bonuses, weekly cashback, and bonus insurance. Deposit methods include all major credit and debit cards as well as cash transfer options. Bitcoin deposit payments are now also accepted, as Slots Garden Casino keeps up to date with the latest trends in online casino. Popular E-Wallets Skrill and Neteller are also accepted. Deposits are usually transferred instantly, and you will see them added to your account within five minutes. There is a minimum deposit amount of $50. For withdrawals, payment methods include Neteller, Bank Wire, Bank Checks, Cash Transfer, and Bitcoin. The minimum withdrawal amount is $100 and the maximum is $2500. Withdrawals take 10 business days to be approved and then 7 business days to be delivered to your account. For any problems, you can contact their customer support. Slots Garden Casino did a stellar job of rebranding itself and its fresh new garden-themed website provides an accessible and intuitive site that will satisfy new and regular members. You can find all your favourite games, as well as new ones which are regularly added. Slots fans will enjoy the large range on offer and the good graphics. The welcome bonus is good and becoming a VIP member comes with many benefits to enjoy on a regular basis.